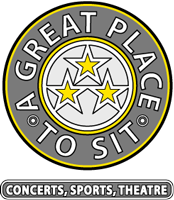 A Great Place to Sit is proud to offer our clients a 200% Money Back Guarantee on the validity of any tickets purchased from us. All of our inventory comes from trusted and secure sources. At A Great Place to Sit we know that each and every ticket we sell is genuine. In fact, we are so certain that we offer to give you 200% of your money back if you have a problem getting into the event because the tickets were invalid. As a proud member of the National Association of Ticket Brokers (NATB) we offer you this guarantee as well as other consumer protection measures. You can see more at www.natb.org. If your event is cancelled and not rescheduled, A Great Place to Sit offers a full refund on the purchase price of tickets minus shipping fees.